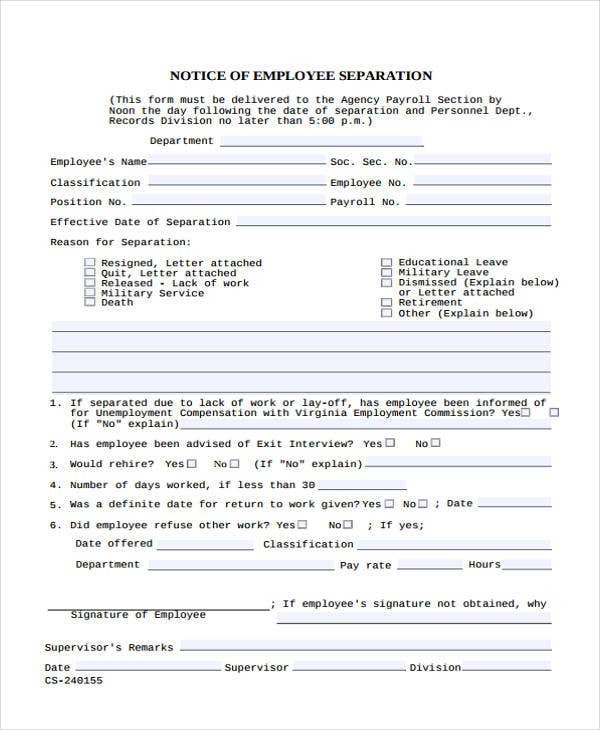 Employers issue a separation notice whenever they want to end the employment or the service of their subordinates or employees. 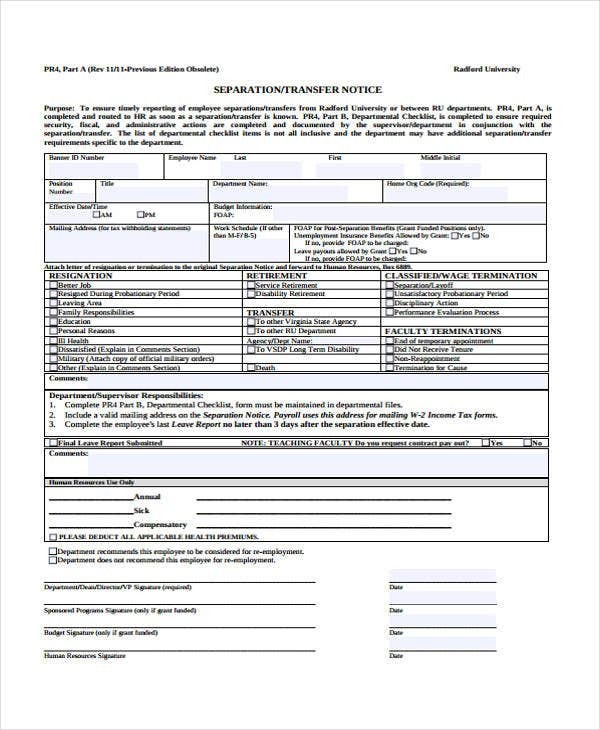 A notice template usually contains the reasons behind the decision, along with a face-to-face discussion for further clarification. 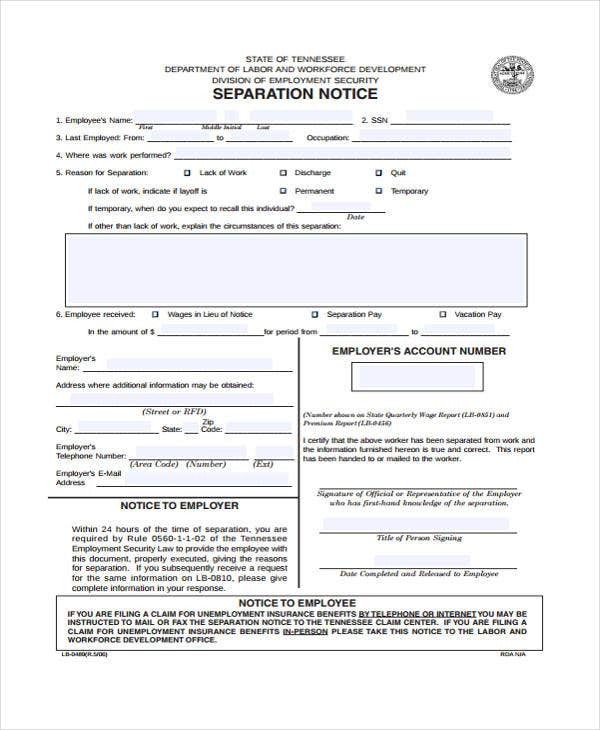 Separation notices vary according to one’s field or discipline. 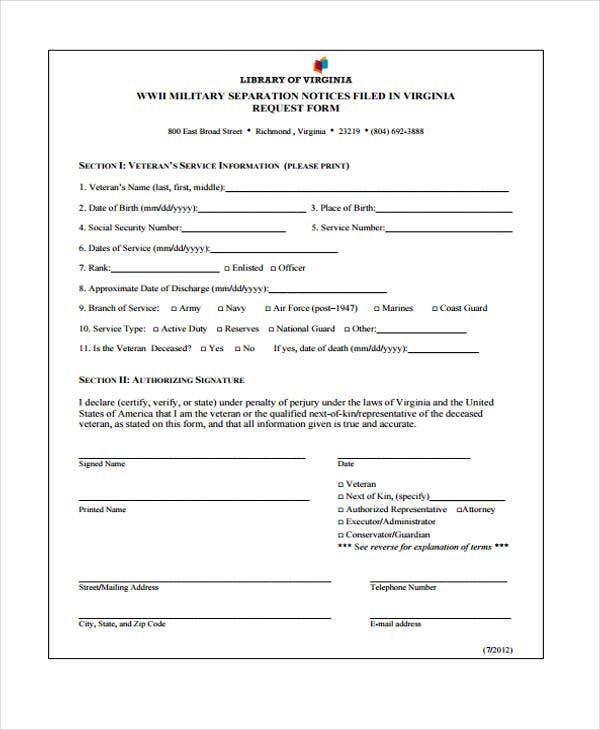 There are personnel separation, employee separation notice, and military separation request. All these samples can be found as you continue scrolling down the article. 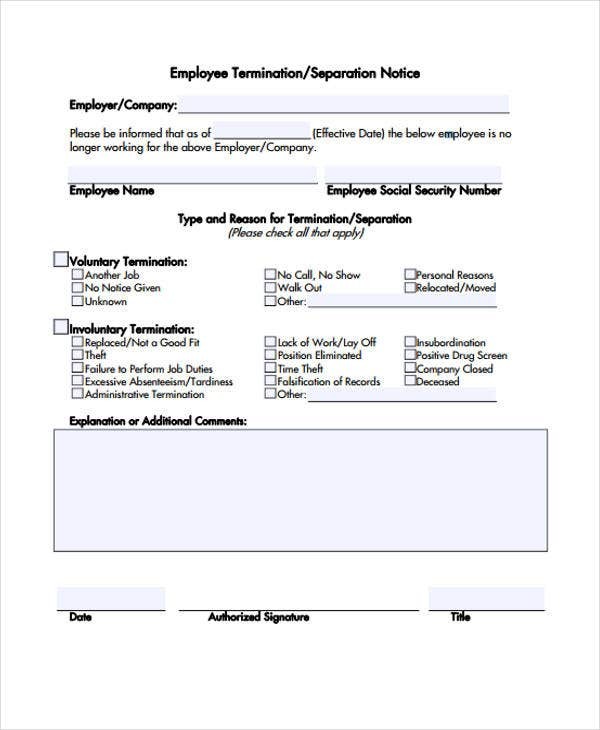 If you are searching for the notice’s standard format and content and would want to compare it against a two weeks notice, then you may take time checking each template accordingly. Separation notices must contain all the specific details in order to be substantial and valid. 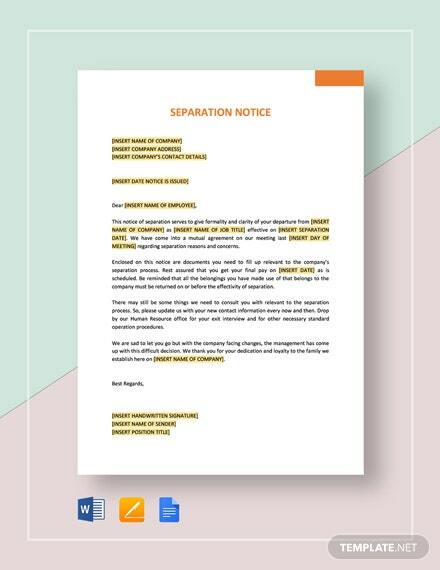 Compared with a notice to vacate and other notice templates, a separation notice must be written in such a way as not to provoke some conflicts between the employer and the affected employee. The notice must have both the company and the employee’s details to make it specific. Usually, the document is printed on a company stationery, with all its entity details. 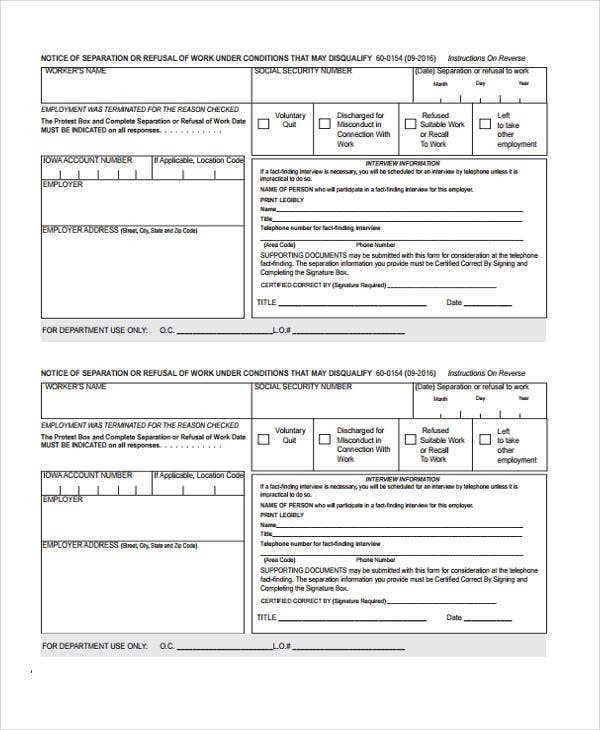 Employee details, on the other hand, may include his full name, current designation, immediate heads, the start date of employment, among others. 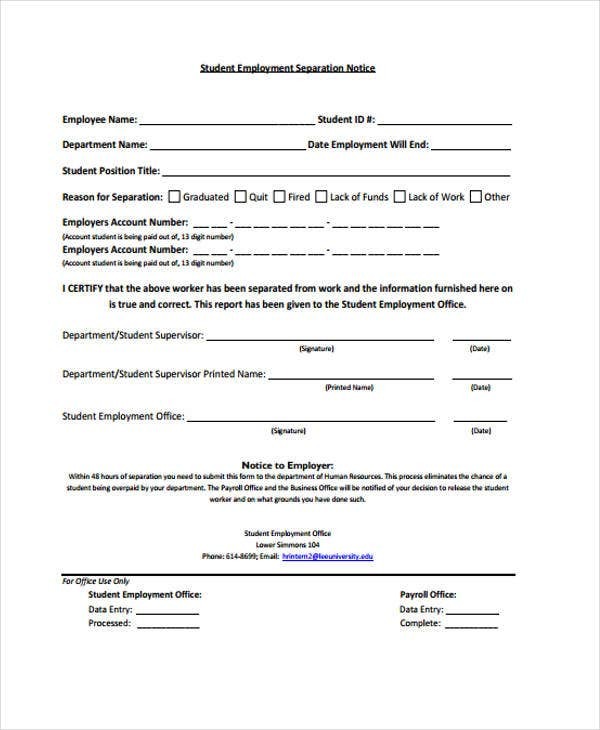 The notice must contain the valid reasons why the employee has to be separated from the company. Some legal basis or provision taken from their employment contract may be included in the content. 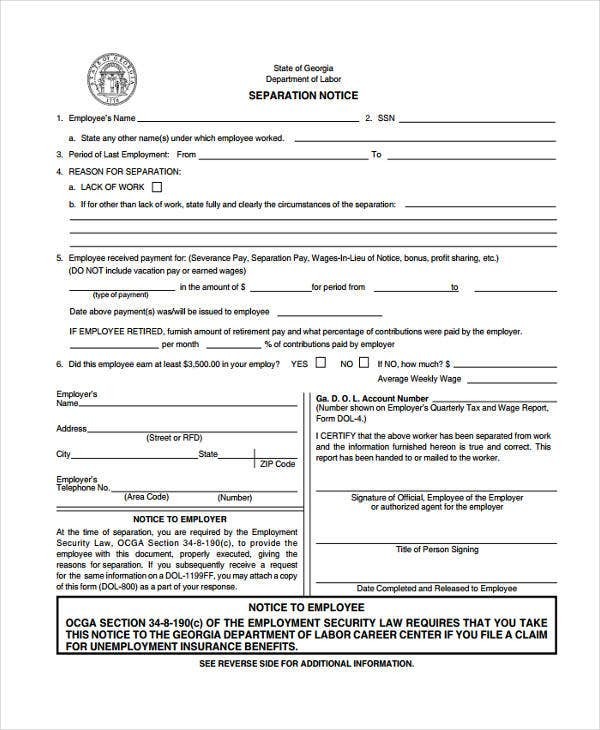 The notice must have the specific date as to when it has issued, and also the date of its effectivity to be observed by the affected employee. What Is the Purpose of a Separation Notice? The employee will be assigned to another branch or department with a different management. The employer has decided to issue the notice in response to the employee’s decision to have an early retirement. The employee would want to clear his name or liabilities from the company by requesting the latter to issue the document as proof. 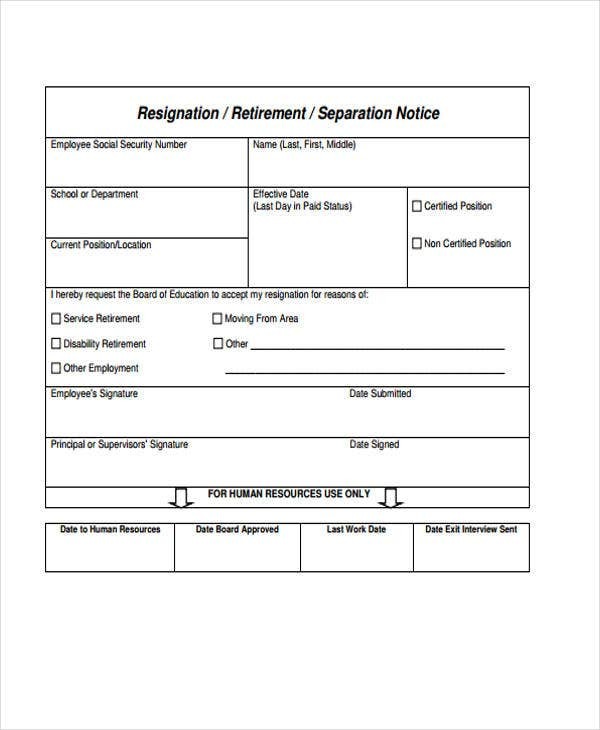 Resignation, in which the employee has voluntarily left his job by submitting a resignation letter whose pattern is similar to notice to quit template. Retrenchment, in which an employee has been taken out from his post due to the financial instability of the company. Retirement, when an employee has reached the age of 60-65, depending on what has been prescribed by state laws. 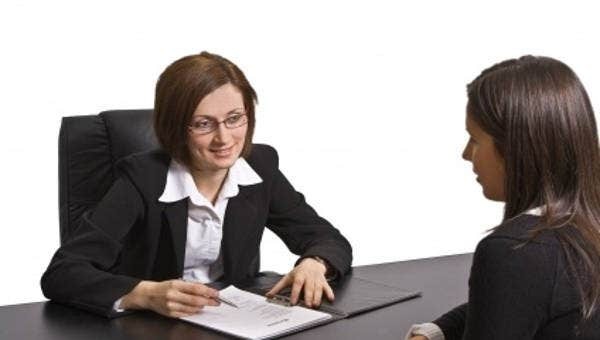 Dismissal or termination, which may be because of insubordination or wrongful conduct committed by the employee and the reprimand is tantamount to his dismissal or termination from work indefinitely or at per the management’s decision. 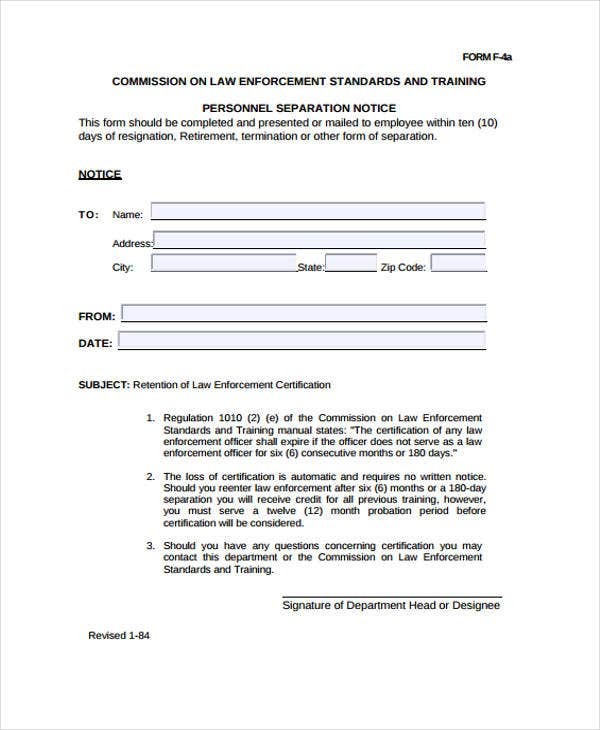 Here, notice of termination samples is taken into account. However, regardless of the reasons behind the separation from work by an employee, employers and labor lawyers must ensure that affected employees would be able to receive the entitlement or legal benefits that befit them while they were still on duty.